Producer of the Islay Storm single malt, owned by the Highlands & Islands Scotch Whisky Co. Established as a sister company to the Vintage Malt Whisky Company Ltd., CS James & Sons produces the Islay Storm single malt Scotch. 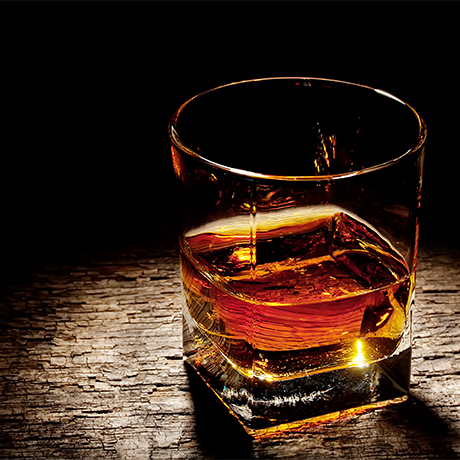 The brand – sourced from an unnamed Islay distillery – is mainly exported to the US and France. Brian and Carol Crook established the Vintage Malt Whisky Company in 1992 as an independent bottler operating out of Milngavie, Glasgow. Five years later the pair founded the Highlands & Islands Scotch Whisky Company as a sister business, under which the Ileach, Pibroch and Black Cuillin brands were launched. C S James & Sons was formed in 2005 as a subsidiary of Highlands & Islands to act as a holding name for the Crooks’ new Islay Storm single malt whisky. With the popularity of Islay malts rising, Islay Storm was relaunched in 2017 with a more contemporary personality. CS James And Sons, c/o The Vintage Malt Whisky Co.
A curated collection of single malts distilled on Islay and bottled under the Port Askaig brand. Independently bottled Islay single malt Scotch whisky with an upfront peaty profile.